Do you have a YouTube Video and you want to promote it? 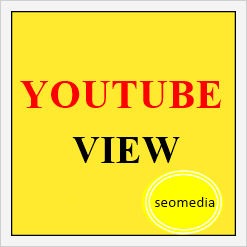 This YouTube Views are 100% Genuine & from active YouTube users & different IP in the world. Increase Ranking on YouTube and Google(your video will be found much easier on search) 100% Customer Satisfaction Guaranteed. You can Split one Video.? Youtube promotion and marketing is ranked 5 out of 5. Based on 47 user reviews.